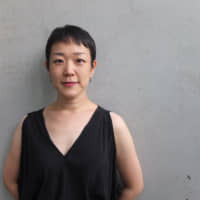 I first heard Ami Yamasaki’s voice in 2016 at a studio where I hosted a radio show in New York. She popped by to promote an upcoming performance at the Japan Society with composer Mamoru Fujieda, koto player Kayoko Nakagawa and shō (free reed mouth organ) player Ko Ishikawa. At that point, I’d never even heard of Yamasaki, though I’d wanted Ishikawa on my program for a while. The studio was dingy, with a grey carpet, flickering fluorescent lights and terrible acoustics. But when Yamasaki began to sing, I heard the sounds of a brook, then birds, trees and a waterfall. I was amazed. The Japan Society event was billed as “Sounds to Summon the Japanese Gods.” During the performance, Yamasaki wandered through the venue’s watery rock garden while gurgling, matching the recorded sounds of fermenting shōchū in Fujieda’s composition — a stark contrast with Nakagawa’s koto and Ishikawa’s shō. All three performers were dressed in shades of white, and the lights reflected off the water creating an ethereal atmosphere. Two years went by and this past May, when visiting New York, I learned that Yamasaki was doing a free show at a gallery. I was excited at the prospect of what I’d hear this time: a babbling brook, some birds? She surprised me by performing in dialogue with the impressionistic paintings of whales on the walls. Halfway through the performance, someone brought a dog into the gallery and it wouldn’t take its eyes off Yamasaki. She started to sing to it, and they launched into a call-and-response duet of barks and howls that delighted the crowd. A few weeks later I met Yamasaki at a tea shop in Tokyo to talk more about her music. Over the course of our conversation, I even found myself opening up to her. That’s why I bring up the episode with the dog: Yamasaki seems to have knack for connecting with people, animals and nature. She has had no formal training as a singer, and the music she makes is atypical to say the least. Much of it has no tones, let alone melody or harmony, but listening to her voice can lull you into a state of calm. The sounds she creates are soothing yet simultaneously dissonant. Yamasaki admits she’s not good with alcohol, which is how she probably found the courage to sing. Before that she says she hadn’t told a soul about her hidden talent. “I don’t need alcohol to sing now, but at that moment I became so free. 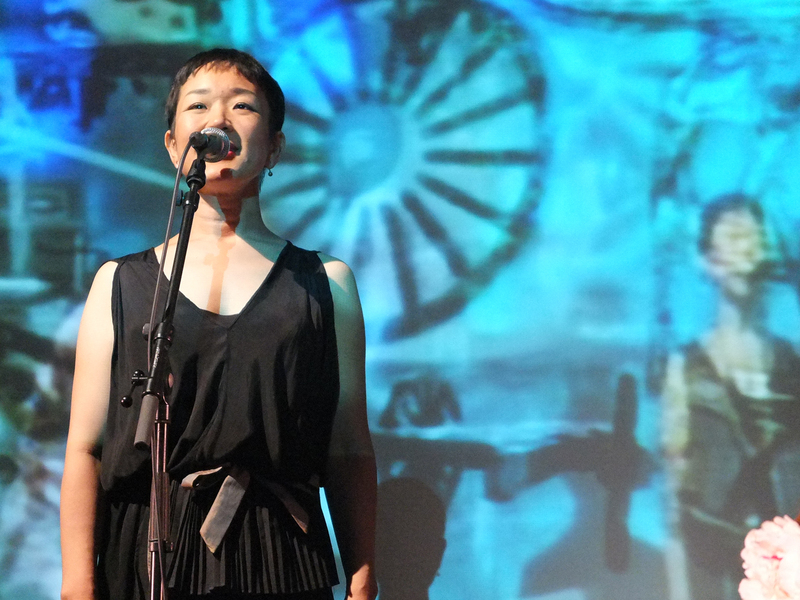 I just sang in front of everyone,” she recalls — and her little burst of confidence paid off. 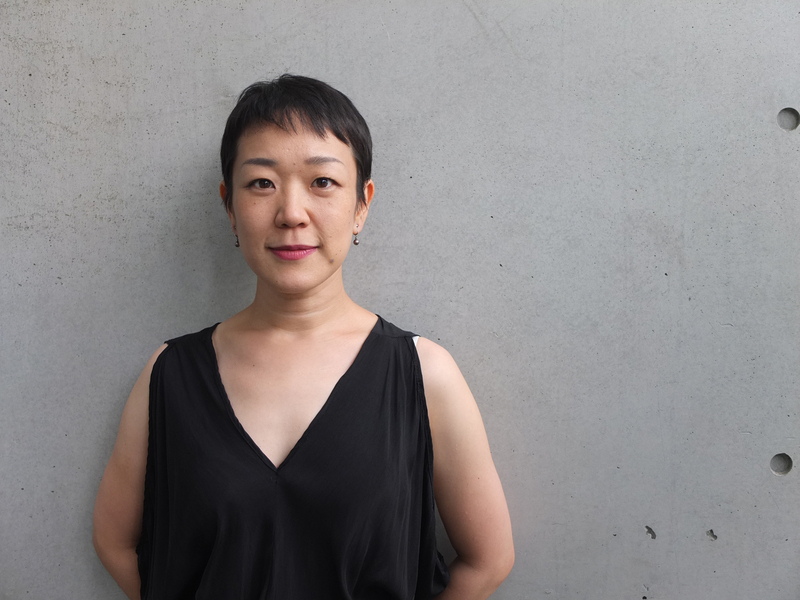 After her “debut” in Ishikawa, the artist headed for Tokyo, where she picked up odd jobs while pursuing her art. She works in a variety of mediums, including as a voice actor and visual artist. She’s currently a Japan Foundation Asia Fellow and is spending her residency in Manila. 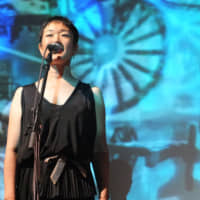 Otherwise, she continues to perform around Tokyo with musicians that range in genre from contemporary classical to jazz to noise, and she seems happy. In early September, Yamasaki performed with a cellist and dancer at the Jazz Art Sengawa festival in the west Tokyo city of Chofu. She still had the ability to leave me enthralled, with many in attendance remarking on her sounds — not her singing, but her sounds. This reminded me of the first time I met her at the studio, when she gave me a CD that featured a recording her mother had made when Yamasaki was still a child. Listening to it after attending the Sengawa show, I was able to recognize the performance I’d heard hours earlier. It was further evidence of her natural talent, but maybe it’s also the secret to her style. Those sounds that came to us as children are pure and uninformed by training or theory. That desire to communicate — with nature, with a dog or with other people — is so universal that it can’t help but make you feel calm. For more information on Ami Yamasaki, visit amingerz.wixsite.com/ami-yamasaki.